And while plenty of reputable sites debunked the logic of that claim, no one looked at actual performance data to tell the true story. Fortunately, we have plenty of real-world data we can use. Since 2016, we have collected more than a hundred thousand benchmark results for seven different iPhone models across three different versions of iOS. 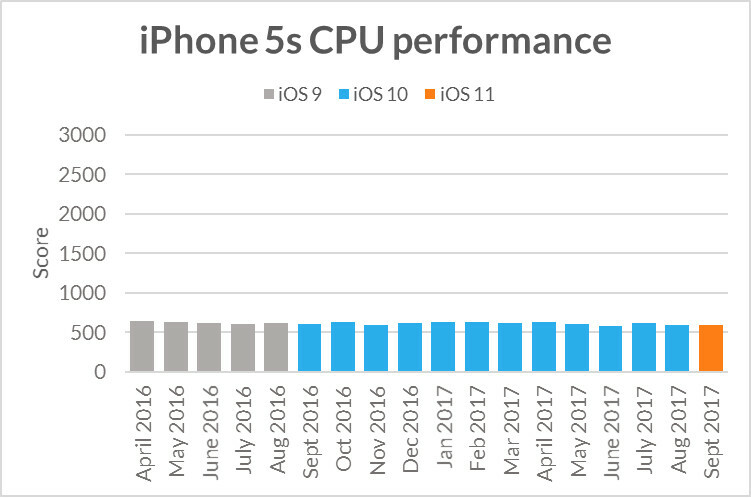 These benchmark results provide a unique insight into the everyday performance of each iPhone model over time. And, as you'll see, there are no signs of a conspiracy. 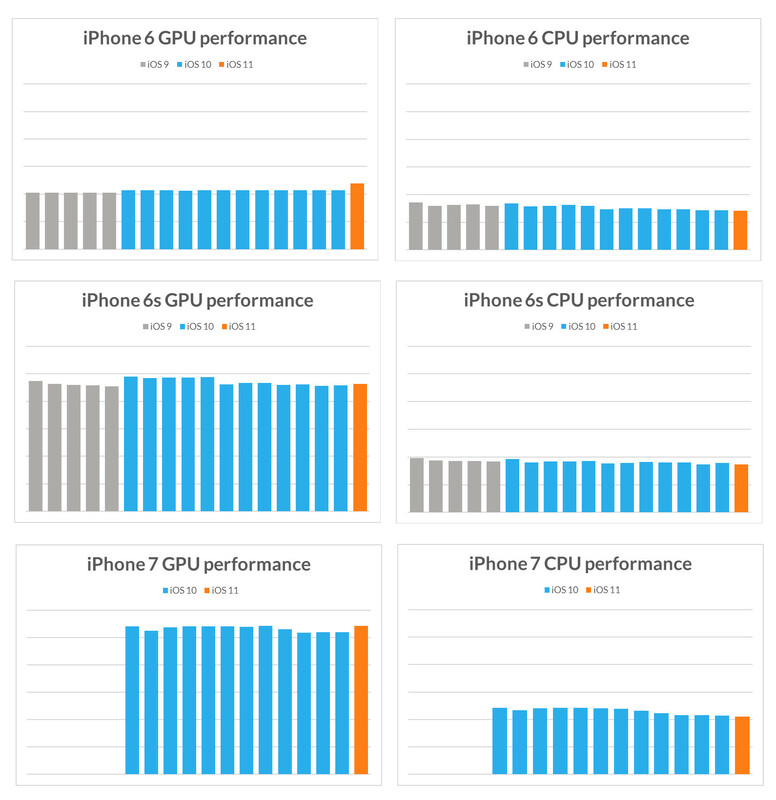 3DMark is a free benchmarking app for testing the performance of smartphones. It works by running a demanding series of tests. Each test produces a set of scores that you can use to compare devices. The recommended test for recent iPhone models is called Sling Shot Extreme. Are older iPhones being deliberately slowed? The next chart below shows CPU performance over time as measured by the 3DMark Sling Shot Extreme Physics test. Again, it is clear that iOS updates have not had a significant effect on performance. The charts for the iPhone 6, iPhone 6s, and iPhone 7 tell a similar story. 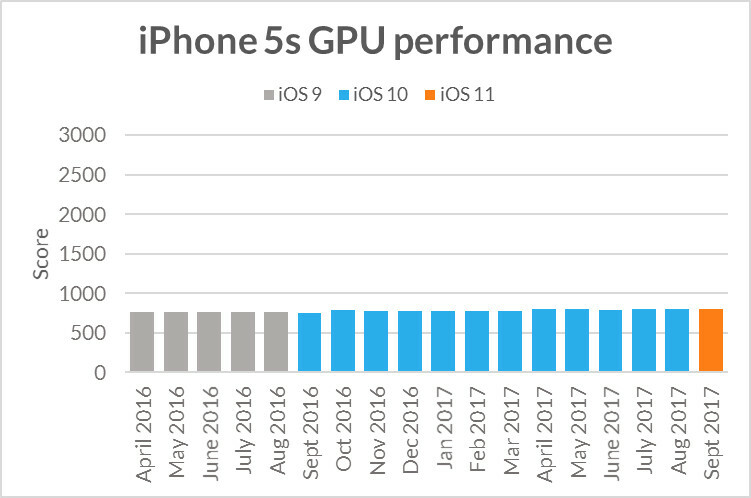 GPU performance has remained consistent across iOS versions with only minor variations. The graphs for CPU performance show a very slight drop in performance over time - possibly due to minor iOS updates or other factors - but a user would be unlikely to notice this small difference in everyday use. Why do searches for "iPhone slow" spike when new models are released? 3DMark is a free benchmarking app available from the Apple App Store and Google Play. Benchmark your phone and see how it compares with the latest models.